The September 3, 1783 Treaty of Paris with Great Britain set the western border of the newly-independent United States of America at the Mississippi River. 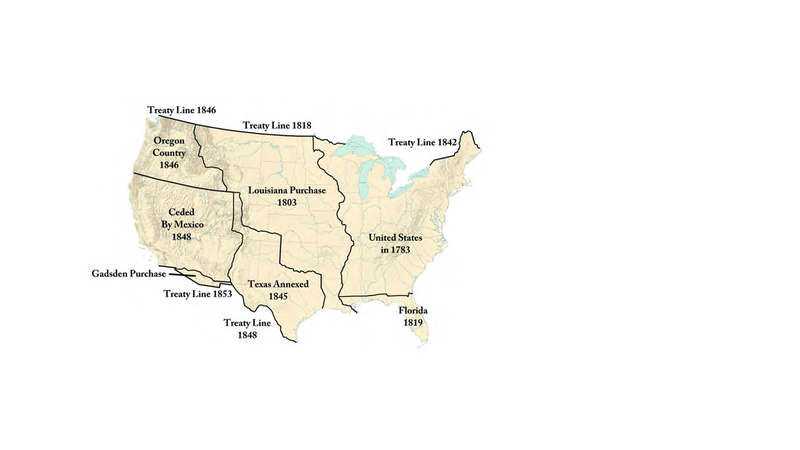 The evolution of the transcontinental mail system of the United States from 1803 to 1861. 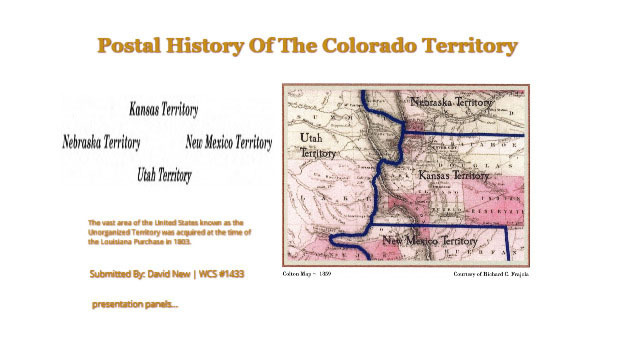 The vast area of the United States known as the Unorganized Territory was acquired at the time of the Louisiana Purchase in 1803. Western Express Editions from 1950 to Today! 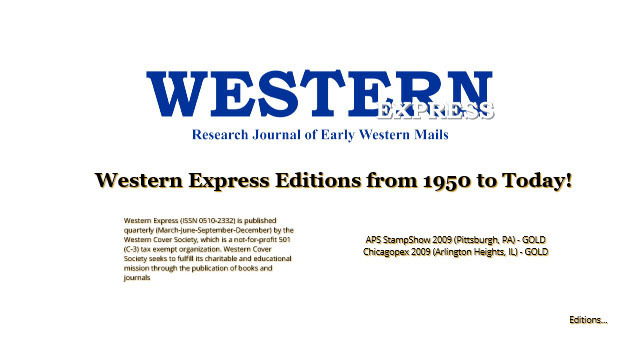 The Western Cover Society studies the Postal History of the old west and publishes information in a quarterly journal called Western Express about Western Express covers, territorials, town cancellations, or anything pertaining to the mails of the old west. 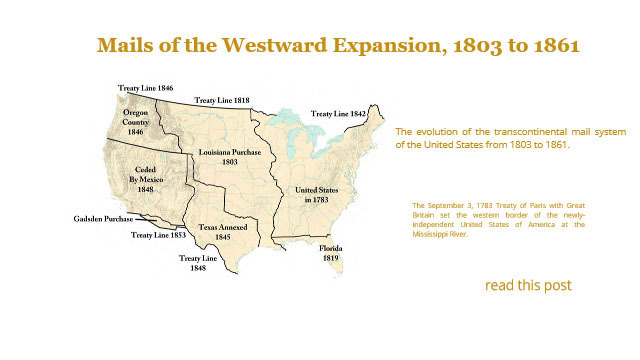 Western Expresses were private individuals or companies that operated west of the Mississippi River and carried letter mail between cities, mining camps, and other settlements. This group of companies became prominent after 1849. 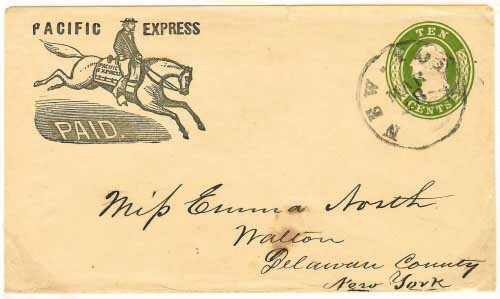 Letter mail was handled by them to areas and towns that did not have established post offices and hence the carriage did not contravene any postal laws that prohibited mail carried privately on postal routes. The private express companies operating on the West coast were the pioneers in the rapid transport of mails in the period before the completion of the trans-continental rail road in 1869. This exhibit is limited to private mail usages of the ten cent stamps and ten cent postal entires between 1855 and 1862. This article attempts to list and analyze those often confusing British Columbia and Vancouver Island instructional markings. PHSC Journal, No. 107, (September 2001), pages 49-57. 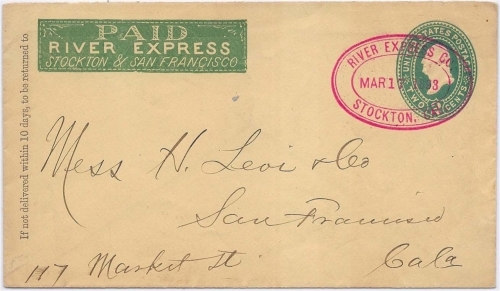 Note the usage dates shown in this presentation are for the device period in San Francisco and not a range of dates applicable only to Hawaiian mail. The Cariboo gold mining region lies 200 miles northeast of New Westminster, the former capital of British Columbia (BC) and today a suburb of Vancouver. The region itself stretches another 350 miles in a northeasterly direction from Lillooet to Williams Creek (near what is now Barkerville). This remote region of BC was opened by gold miners in 1859. By 1862, major gold strikes had been made along Williams Creek in the northern-most part of the Cariboo region. Mitchell was born of the railroad’s westward expansion. 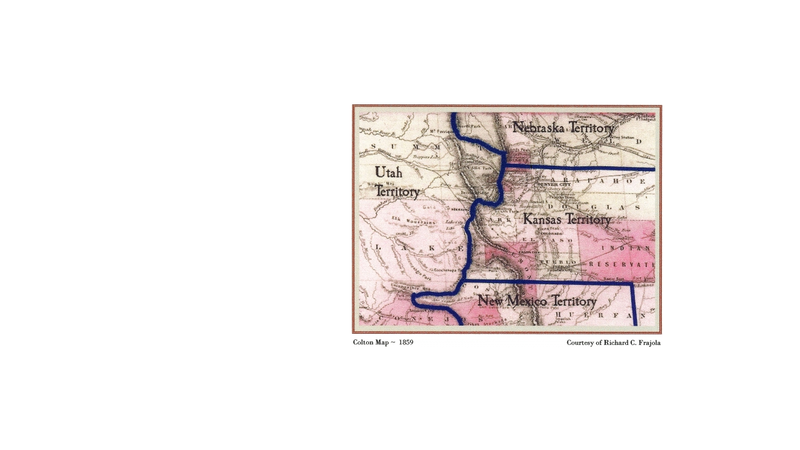 In 1879, two railroads were headed into Davison County: one from Yankton, Dakota Territory, and one from Sanborn, Iowa. Railroad officials preferred directing the construction toward existing settlements; however, Firesteel (at the time, the county seat of Davison County) was deemed flood-prone. Several enterprizing businessmen quickly siezed the opportunity, platting a town some two miles west of Firesteel. Become a Member or Renew Your Western Cover Society Membership Today! 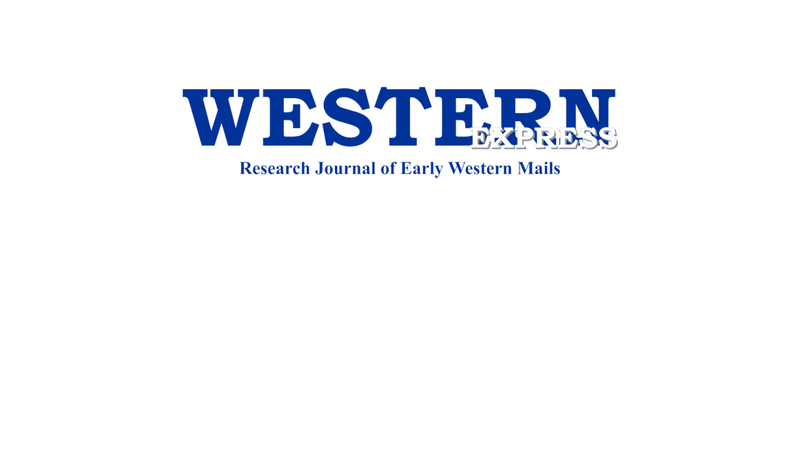 Enjoy the Award Winning Quarterly Publication: “Western Express” sent to you. 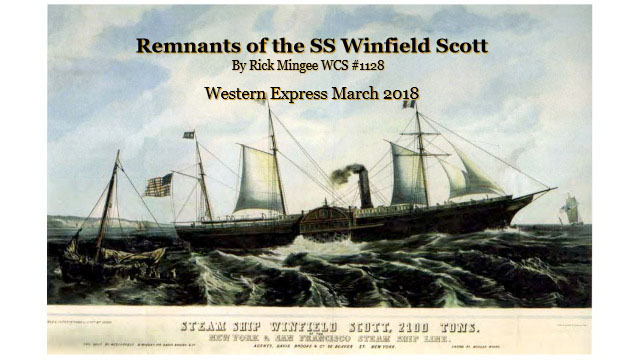 You will find an Adobe PDF file of every “Western Express” issue ever published! Including the Western Cover Society Constitution published over a half century ago!